Wabash City Hall could be getting a receptionist after all. 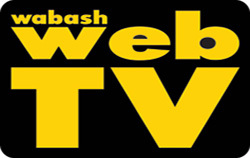 The Wabash City Council on Monday, Feb. 22, approved amended salary ordinance that, among other things, included an appropriation of $21,840 for the post of receptionist and office assistant. Mayor Scott Long, while still a council member late last year, attempted to have the position added to the salary ordinance. However, under state statute, changes to the ordinance could not be made until the year it was effective. Thursday Night Blues kicks off on March 3 with the Rockin’ Johnny Band at the Historic Eagles Theatre. 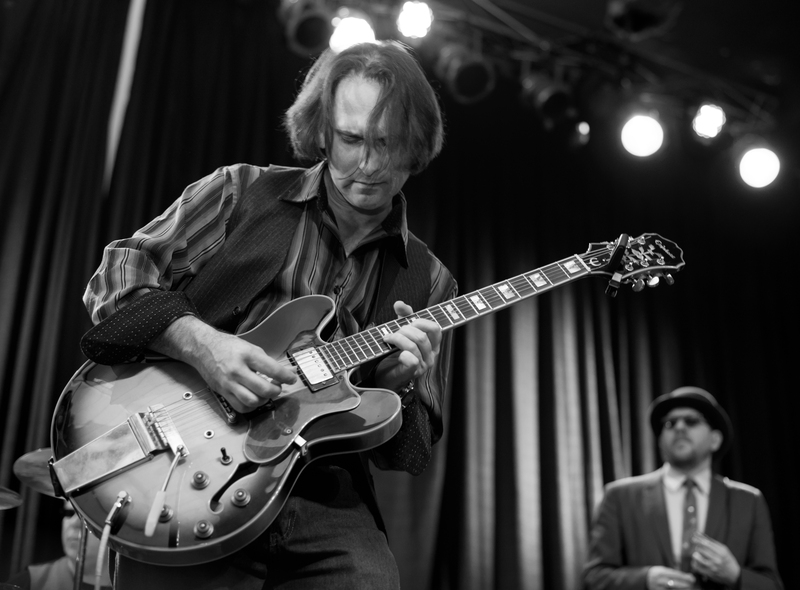 Led by guitarist Johnny Burgin, the band performs a mix of Chicago blues, funk, rock and swing with no set list of songs that it plays from. “I’m a traditional Chicago blues player,” Burgin told The Paper of Wabash County, “but we have a kind of new thing at every show. I’m trying to give people goose bumps. A Wabash man believes he doesn’t own an East Sinclair Street home the city ordered him to either repair or tear down. Kenneth Crace told The Paper of Wabash County that he did own the home – known as the Shiloh Historic Home, 45 E. Sinclair St. -- for less than a week in 2015, and that the city should order its rightful owner to either tear it down or repair it. The Wabash Board of Works and Public Safety gave Crace, who Building Commissioner John Stephens said is the owner of record, 30 days to begin repairs or demolition. 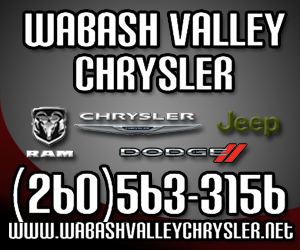 A 19-year-old Wabash man was killed Wednesday afternoon in a one-vehicle accident on Old U.S. 24, about one mile east of Wabash. A fire caused an estimated $50,000 damage Tuesday night, Feb. 23, to the Robert Kuhn home, 3674 S. Ind. 15, Noble Township Fire Chief Rob Cussen reported Wednesday morning. Two narcotic investigations by members of the CLEAN Team resulted in seven people being arrested on various drug related charges. The Wabash Chapter of the Izaak Walton League will start its Spring Cross Shoots at 10 a.m. Feb. 28. The shoots will continue on March 6, 13, 20, April 3, 10 17, and 24. Meat and cash prizes are available. All events will take place at the clubhouse located at 10439 S. Old S.R. 13, near Somerset. The public is invited. 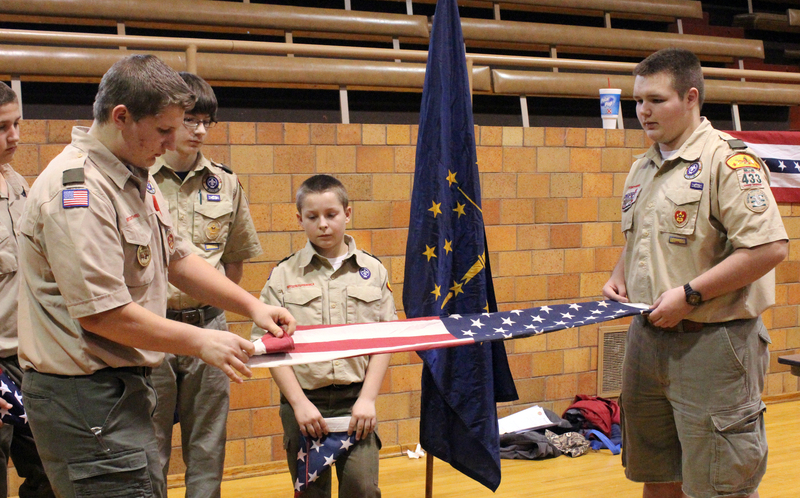 Scouts from as far away as Lafayette and points in between converged on Wabash on Sunday, Feb. 21, for the 76th annual Lincoln Pilgrimage. The event, which took place at the Honeywell Center’s Legacy Hall and in the facility’s skating rink, took on a new format this year. “For 75 years it kind of evolved into a rope-making and a museum-type thing,” according to Chris Mehaffey, Scout Executive for the Boy Scouts of America Sagamore Council. “We focused on Lincoln a little bit.